Younger people, between 21-24 years old, make up the majority of the statistic on fatal car crashes involving drunk drivers. Furthermore, studies show that these accidents usually involve male drivers. But why is this? What is it about the age group that makes them much more prone to mistakes? There may be several reasons as to why younger people are more likely to end up in fatal drunk driving accidents. On one hand, it could be due to the fact that they’re new to the world of legal alcohol. At age 21, you’re beginning to drink legally and test your limits. Because of this, it can be easy to desensitize yourself to the effects at hand. It takes time to understand the responsibility that comes with being able to drink. Drinking safety often falls to the wayside there at the beginning. However, with time and experience, we begin to see the damage that alcohol can cause if you don’t use it properly. Another possible reason may be that the younger person does not understand the risk. They may not take into consider what a DWI will cost them in legal fees or how it may harm future goals. Furthermore, they may not calculate how many lives they are putting in danger, including their own. As you progress into your twenties, you will likely meet a person or two who has a DUI. Through their experience, you’ll begin to get an idea of those associated costs and it becomes quite unappealing to subject yourself to this. Services such as Uber and Lyft have made it much more accessible for younger people to skip drinking and driving. By making these things so user friendly and putting it onto your devices, you’re more likely to use them. Encourage planning ahead of the evening. Ultimately, the best way to prevent young drunk drivers is to plan ahead of time. Do you plan on getting too drunk to drive? Call an Uber both ways, invite friends to split it with you and save some money. By splitting the Uber, you’re able to lower the cost and keep more of your friends from making bad decisions as well. We are going to lay some signs of drunk driving out there. But keep in mind that these are not all-inclusive. The only person who can judge the scenario is the person in the roadway. So, if you suspect that a driver is operating illegally, call police as you make distinctions. At the end of the day, if you’re wrong and the driver isn’t drunk— they’ll go on their way. Either way, you’ll rest a little easier knowing that you didn’t just let a potentially drunk driver go on to injure someone else. Spotting a drunk driver may be easy if you know what to look for. If you notice some suspicious behavior of drivers around you, understand it is possible that they are driving under the influence. Therefore, it is best to be able to recognize signs that someone is driving impaired and remove yourself from the situation. Swerving back and forth while driving is an obvious sign of distracted driving in some capacity. Some cars may swerve between lanes, off the road, or even into other vehicles or roadway obstructions. You might think of drunk drivers as particularly reckless. While this is true in many regards, one typical sign of a drunk driver is very slow driving, or necessary braking. A drunk driver might go well under the speed limit, or stop a lot, as a means of ‘compensating’ for the state that they’re in. On the flip side of that previous sign, is excessive speed. While some drivers might try to compensate by going slow, others might disregard their state completely and drive very fast without thinking twice about it. The best thing you can do to protect your own safety is to let the driver pass you, stay behind them, get their information, the direction they’re driving in, and then pull off the roadway and make the call. To be safe, you should allow yourself to get some distance from the driver as you alert the police. As you make this call to protect others’ safety, pull off the road to protect your own. 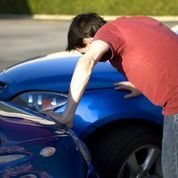 If you are in an automobile accident where you have been rear-ended by another vehicle it is likely that you believe it is the other driver’s fault. When I worked as a police officer and responded to an accident that involved a rear-end collision the car who was rear-ended seemed to always automatically know it was not going to be their fault. It is true in most cases that if you are rear-ended the driver of the vehicle is at fault because the majority of the time these collisions occur as a result of following the vehicle too closely or not paying attention to changing traffic conditions. However there are some exceptions to this rule and if you happen to rear-end someone you may not be at fault. If the driver who was rear-ended was driving recklessly or intended to cause an accident that driver may be found at fault. For example, I remember working an accident in which someone rear-ended another vehicle and the driver of the vehicle stated that he knew the other driver who was following him was too close so he slammed on his brakes with the intent that the driver would rear-end him. He stated this most matter of factly because he just knew that if he was rear-ended it would not be his fault. This is not the case. The driver who was rear-ended in this case was cited for reckless driving and could now be on the hook for damages to the driver who rear-ended him. Another exception to this rule is a multi-vehicle collision. 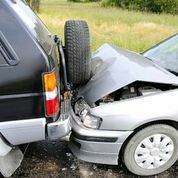 If more than two cars are involved in an accident in which a single vehicle rear-ended one vehicle and it resulted in a line of vehicles rear-ending each other than the driver who initially hit is likely to be liable. For example, if there are two cars stopped a red light and a third vehicle does not brake in time and hits the second vehicle which in turn causes the second vehicle to hit the first, then the third vehicle will be liable to both drivers he hit. If you are in an accident in which you are rear-ended or if you rear-ended someone else you need to learn what your options are. You may not be at fault and need to contact an attorney who has experience dealing with automobile accidents and will work hard on your case to get you what you deserve. Three people were treated for injuries, and a fourth was taken to the hospital after a north Charlotte collision. Police report that a driver ran through a red light just after 1:00 a.m., on the intersection of North Graham and West 28th street. Additionally, a fence was damaged as a result of the accident. All four people who were injured are expected to recover, and no charges hav e been filed at this time. Negligence is defined as the failure of one to act as a reasonable person under the circumstances. The elements of negligence include a recognized duty (typically a statutory duty under North Carolina Common Law) to a foreseeable plaintiff, breach of that duty, causation (legal and actual), and the act or omission must result in damages. One who is injured by the negligence of another is entitled to recover damages for both bodily injury and property damage. In order to prove negligence, the plaintiff (or person who was harmed by the actions of a defendant) must also prove that the negligence caused the plaintiff’s losses. In a car accident, if duty, breach, causation, and damages are proven, the injured victim may recover for his or her damages. According to the Gaston Gazette, a car accident that occurred in Gaston County will result in the driver of the vehicle who caused the accident to be charged with DWI, felony death by motor vehicle, assault with a deadly weapon inflicting serious injury, and assault with serious injury by vehicle. The driver of the vehicle that caused the accident, is said to have been drinking previously. He was driving his vehicle on Dallas-Cherryville Highway and crossed the center line. When the vehicle driven the allegedly intoxicated man crossed the center line completely entering the opposite line of traffic he struck an oncoming vehicle head on. After he hit the first vehicle head on a, third vehicle stuck the initial drivers vehicle which was still in the center of the road. One death resulted from the accident and four others including the suspect received serious injuries. The driver will surely be charged criminally for the foregoing events; however, the question is ever present as to whether or not he will have to pay restitution to the victims of his crimes. If the victims of a DUI case, who have been injured or killed, intend to bring civil suit, this may result in additional civil fines for the defendant if he is found to have been negligent and responsible for the plaintiff’s injuries. North Carolina adheres to the Contributory Standard for Negligence. Negligence is summed up by “the failure of a person to take the proper care in doing something.” The elements of negligence are a recognized duty, breach of that duty, causation (actual and proximate), and damages. North Carolina adheres to the Contributory Negligence standard. This means that it is a very high threshold for a plaintiff to prove that a defendant was negligent. This standard applies to cases where plaintiffs/claimants have, through their own negligence, contributed to the harm they suffered. If a pedestrian (for example) contributes to the accident that involves a driver, by J-walking or some other small infraction, and the driver ran a red light, the pedestrian cannot sue the driver for damages because the accident would not have occurred if it were not for the pedestrians own negligence. 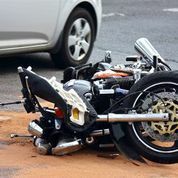 A late night accident resulted tragicially for four residents of Charlotte, NC, when they were involved in a multiple vehicle crash that left all of them seriously injured. According to medics, the four Charlotte residents were taken immediately to the hospital to mitigate the life-threatening injuries sustained. Although multiple vehicles were invloved, medics were unable to provide details on the cause of the accident and the current status of the victims involved. The accident occurred on Brookshire Boulevard between Ford Road and Interstate 85. 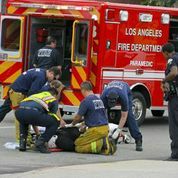 When a car accident occurs, and someone or a group of people are injured, there are some serious implications that may occur. First, the injured have to deal with injuries sustained, and the costs to fix property damage, medical expenses, and pain and suffering. Then, there is the question as to who is at fault for these injuries. Here is where the idiosyncrasies of the law get involved. An attorney will help you figure out the damages to your property and additional damages, and figure out whether there is a potential injury claim. Then, it will be brought before a judge or jury to decide the outcome of the case. A new bill that was introduced in the North Carolina would place higher costs on anyone convicted of DWI. Senate Bill 434 would require anyone convicted of a DWI to have an ignition interlock device installed in their vehicle. This would apply regardless of the level of DWI convicted of. This law would also apply to anyone who refuses to take a breathalyzer test or anyone who consumes alcohol under the age or 21. The person who is convicted would be responsible for paying the costs of having this device installed in their vehicle. The convicted person would also be responsible for any future costs incurred by having the device in their vehicle which may cost thousands of dollars. In North Carolina under G.S. 20-154(a) a driver “before starting, stopping or turning from a direct line shall first see that such movement can be made safely…and whenever the operation of any other vehicle may be affected by such movement, shall give a signal as required.” So basically a driver does not have to give a turn signal unless it would affect another vehicle that is following. Also a driver is not required to give a turn signal if he is in a lane where the turn is not optional, for example a right turn only lane. The reasoning is that a vehicle who is following should know that a vehicle in that lane will be making a turn. This was the rule that came from State v. Ivey, 360 N.C. 562 (2006) where the defendant was in the right turn only lane.